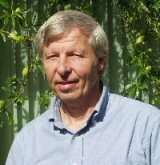 I offer a full service in clearing and re-setting disturbed subtle energies in homes and places of work, including dealing with geopathic stress and advising on electro-magnetic pollution. All properties can be affected by negative or disturbed energies but this is especially so in older properties, houses and flats. Homes often need a periodic spring clean at an energetic level. The work also includes checking for any ley-lines and clearing any trapped spirits. Properties can sometimes be affected by alignments known as leys. 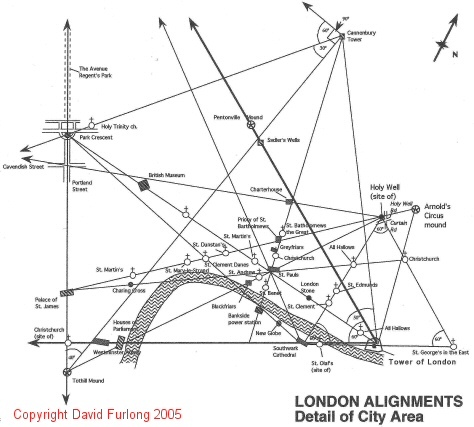 An example on the left of some of London's primary alignments indicates the links between major sites. These energy lines can generate an influence that affects the people through whose property the alignment paces. See information on "ley-checking" service. See article: Spirit Release and Home Healing. Note: Although site visits are preferable, in some cases this work can be done from a distance. The definitive book on Earth Energies .